Choosing an online learning platform is like online dating. All the prospects say they’re the best. They only show their best angles. And checking out their online profiles doesn’t guarantee a good match. It could take you months, even years, to find The Right One. And making the wrong choice has dire consequences. Pick the wrong learning management system or LMS for your online course, and not only do you end up wasting time and money. You also end up turning off prospective students and causing learners to fall out of love and divorce you. If you want to cut down on research time, minimize trial and error, and increase your chances of picking the right online course platform, then this post is for you. This post is long! Get the cheat sheet here. If you Google “online learning platforms,” “online course platforms,” or “learning management systems,” you’ll be overwhelmed by all the results. There are so many choices! How do you even begin? 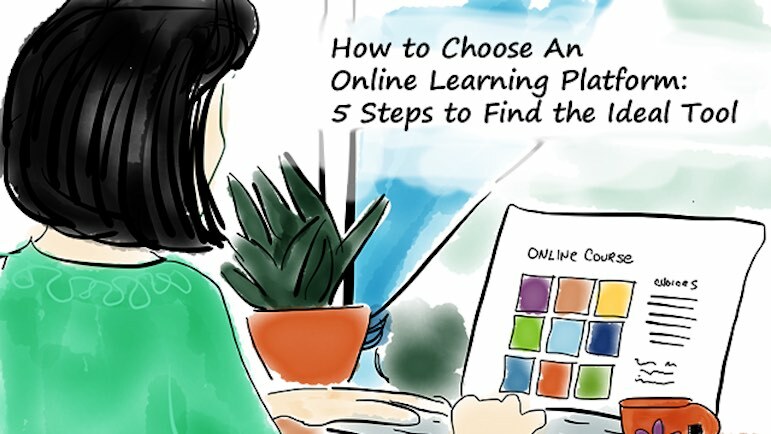 You can narrow down your choices by first choosing the type of online learning platform and then zeroing in on a specific platform later on. There are three main types of online learning platforms: self-hosted WordPress platforms; third-party hosted platforms; and online learning marketplaces. Below, you’ll become familiar with the differences between these types of platforms and read about a few examples of each. These are platforms that are built on your own web hosting. For the purposes of this post, we’re focusing on platforms you can create on a WordPress website, because that’s the simplest way to have a self-hosted course site. You can turn your WordPress site into an online course by using either a membership site plugin or an online course plugin. The platform to be hosted on your own website, so you have complete control of your course. To pay a one-time payment, although you may have to pay for optional paid upgrades that can be expected with any software. You want a fully customizable and brandable type of course platform. Your course website can pretty much look any way you want it to. To be able to add features as you need them by using additional WordPress plugins. So if you decide later on that you want a dedicated online forum, after all, it is only a plugin away. Longer setup time. You need to install the platform, set up various integrations, and add the customizations you want. Until you do all that, you can’t get your course up and running. Needing a lot of technical skills. If you want an affiliate program or a discussion forum, you may need a separate plugin. Making sure all these parts keep working nicely together can get hairy. And just when you have everything running smoothly, WordPress releases an update and you may have to start all over again! The added costs of using additional plug-ins. Worrying about the integration of different applications. For example, if you want to embed video on your course page, your video files first need to be hosted somewhere else, such as YouTube, Vimeo, Wistia, or Amazon S3. The easiest way to turn your WordPress site into an online course is to create password-protected pages for your lessons. You can drip feed the lessons by using your email service provider to schedule when your students will receive the password for each part of the course. This WordPress plugin turns your WordPress site into a membership site and offers unlimited membership levels, sequential content delivery, easy member management, and multi-level access to content. WP-Courseware turns your WordPress site into a learning management system. Some of its features include a progress widget so students know how far along they are in the course, a customizable course completion certificate, and the ability to quiz and survey students. Click here to read our WP Courseware Review. Zippy Courses offers a content scheduler for drip-feeding lessons, drag-and-drop interface, and built-in quiz creator. We’ve been using it for all our courses: Audience Business Mastermind, Course Builder’s Laboratory, Art of Offer Craft, Audience Launchpad Intensive, and Audience Liftoff Intensive. Click here to read our Zippy Courses Review. aMember Pro is not a WordPress plugin. It’s a membership software that’s installed in an existing site and provides digital content delivery, email service, web-based payments, and affiliate program management. However, the actual content of your course still has to be on a WordPress site. The next type of online course platform is third-party hosted platforms. This means your course is hosted by a vendor’s website. A feature-rich, easy to use platform with the different components built-in and working together. To work on only one dashboard to do everything related to your course, from building lessons and modules, to creating a sales page, to interacting with your learners. Putting your course on somebody else’s “real estate.” With this type of platform, you’re merely renting the vendor’s space. This means you’re at their mercy. If their servers go down, so does your course. The design of your course to be limited by the templates provided by the platform, unless you have the capability to do advanced CSS/HTML editing. To have recurring costs. These platforms are sold as a subscription-type of service, which translates into a recurring monthly, quarterly, or annual cost. You have to keep paying if you want to keep using the platform. And some platforms even charge transaction fees on top of the subscription. Kajabi (Basic $129/month, Pro $389/month, Premium $899/month, billed monthly, no transaction fees)A veteran in the online info product market, Kajabi offers built-in features like commenting, video hosting, affiliate management, and email service, among others. And even though Kajabi hosts your course, you can use your own custom domain (www.yoursite.com). Click here to read our Kajabi Review. With Ruzuku, you can provide self-directed, evergreen, or live courses complete with audio and video streaming. It also offers a discussion forum where students can post different types of media, and Course Health analytics shows how your students are faring. Click here to read our Ruzuku Review. Simplero was created for infopreneurs to sell any kind of information product online, including courses. Its membership site feature lets you drip content to your students and it even hosts your audio and video files, so all you have to do is upload them to your course. Simplero also has a robust email marketing platform, affiliate management, and 1-click upsells. This hosted platform offers a concierge service—which includes help with moving your existing courses from other platforms—student analytics, comment posting, and the ability to brand your emails, shopping cart, and course pages. Teachable starts with a free subscription (subject to transaction fees) and offers dynamic pages that automatically adjust to whatever type of device your students use. It also has a powerful course page editor, robust analytics, its own affiliate program, and the ability to segment your students and send them targeted emails. Click here to read our Teachable Review. So far the only third-party hosted platform I’ve found that offers lifetime subscription, Teachery has an easy-to-use live course editor. You can easily customize your course pages, lessons, sales pages, and payment pages. Click here to read our Teachery Review. Thinkific has a unique voice-over slide tool that lets you record audio narration for your slide presentations, including PowerPoint and Keynote. It also has an affiliate program manager and built-in discussion forum. It even allows you to create hybrid classes with online and offline course components. Click here to read our Thinkific Review. If you just want to put your course out there and get paid at the end of every month, then a learning marketplace is the best option for you. Access to the millions of followers who come to the marketplace looking for courses. The site markets or promotes your course to their followers. It would take you years to build an audience of the same size. Your course to be on a well-established website, which means your course has a good chance of ranking on search engines without a lot of the usual SEO work on your part. A platform that takes care of the back-end technology and has the tools you need to create and sell your course, all in one place. They’ll take care of processing payments and most offer a professional, user-optimized experience for your learners. To have zero costs. These marketplaces are usually free to join, so you will have no up-front costs. Have the least amount of control over your course. All courses in a marketplace tend to look alike, with very limited customizations available. The marketplace can dictate how you price your courses, and they can change their policies without consulting you and other teachers in advance. Somebody else to receive the payments for your course and then pay out your share of it. And the commission structure can change without prior notice, leaving you to deal with something you didn’t originally sign up for and unable to predict your income. To limit your ability to nurture your relationship with your students. Since you don’t own your customer database, the marketplace will “’own’ your customers, including their email addresses and your relationship with them,” says Jim Hopkinson, Mirasee Director of Courses. This well-funded marketplace is also one of the largest. It serves more than 10,000 organizations and offers courses in five languages. Course topics cover business, creative, and technology. 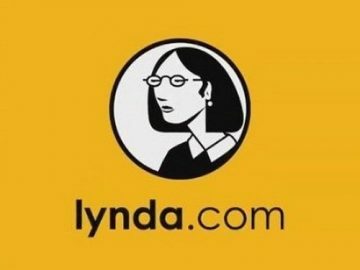 Lynda works on a subscriber model, in which learners pay a flat monthly or annual fee and then have unlimited access to all the courses they want. You get paid based on a combination of your share of the site’s total revenue, the number of unique views of your videos, and your agreed-upon royalty rate. Lynda’s formula for determining your earnings means it’s hard to predict how much you’ll make by teaching on the site. You have to apply to become an instructor. The application process includes submitting a sample movie based on their guidelines. You can also link to an existing video that demonstrates your teaching style. been published or have made presentations at conferences. As with Lynda.com, you have to apply to become a Learning.ly Expert before you can teach on this platform. If you’re accepted, you have the option to hire a personal concierge to help you create your course. Learning.ly’s revenue model is simple: You keep 50% of the revenue from your classes. Skillshare has more than 2 million students and hosts over 15,000 courses. So far they cover design, photography, business, entrepreneurship, film, fashion, music, technology, writing, and creativity. However, Skillshare promises you can teach any class as long as you adhere to its publishing guidelines. It also assures that creating classes is easy. So it’s a good option for you if you don’t have formal training in your subject area. Premium Referrals: Get $10 for every student you bring to Skillshare who signs up for a Premium Membership. Royalties: Earn royalties based on the number of minutes watched in your classes every month. 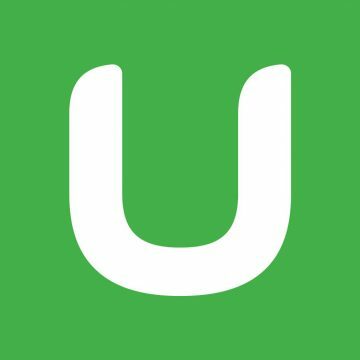 Udemy is probably the most popular online learning marketplace with courses covering a wide variety of topics. It boasts of 15 million students in 190 countries. From course sales that arise from your own promotion of your course, you get to keep 97% of the revenue. But when Udemy promotes it, you get only 50%. On the other hand, you can only price your course between $20 and $200. Udemy is the only online learning marketplace that we at Mirasee use ourselves (see our Udemy courses here). 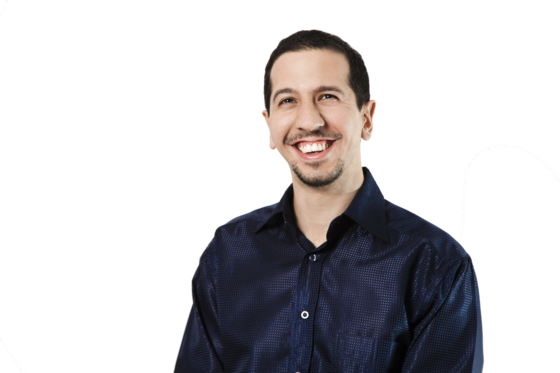 “Udemy makes it easy to create a course without needing a lot of technical know-how. You can simply go down their checklist, upload your files, write the copy, and hit the submit button, and call it a day,” says Rocky Kev, Mirasee’s Technologist. Simplilearn is a marketplace aimed at training professionals, especially in the areas of big data and analytics, salesforce, digital marketing, cyber security, cloud computing, project management, and programming. It has over 500,000 students and more than 400 courses taught by over 2,000 trainers. Its “blended learning approach” combines online classes with instructor-led live virtual classrooms, project work, and 24/7 teaching assistance. Compensation to trainers isn’t posted on the website, however, the Simplilearn CEO said on Quora that, depending on factors like the course itself, instructor’s experience, and location, compensation can range from $100 to $400 per hour for instructors in the United States. 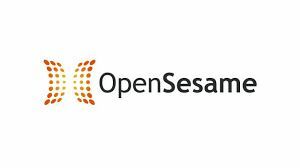 OpenSesame calls itself “The trusted provider of on-demand elearning courses for the enterprise.” Not surprisingly, its course catalog seems to be geared towards corporate employees in the following industries: academic, banking, construction, criminal justice, electrical, engineering, healthcare, hospitality, manufacturing, mechanical, oil & gas, retail, sustainability, and transportation. 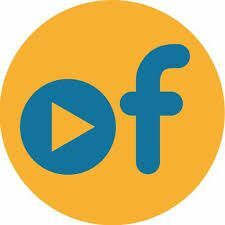 To teach, all you have to do is register, then upload your video courses. You can also add courses you’ve already built on other learning management systems, such as Docebo. So if you already have courses on an LMS or another non-exclusive marketplace, you can keep it there and still sell it on OpenSesame. Unlike other marketplaces, OpenSesame lets you set the pricing for your course. What do you earn? 50% of course revenue. StackSkills is the platform for courses sold on Skillwise, StackSocial, Citizen Goods, and other partner sites. They have a student community of 350,000 people and over 230 instructors. So far, courses cover programming, digital marketing, photography, travel, entrepreneurship, cyber security, career, video production, branding, corporate finance, and even poker. To teach, you need to email sales@stackcommerce.com and tell them about your expertise. Their website has no details about how you get paid. The mission of Curious is to connect the world’s teachers with lifelong learners. It has a wide range of topics that encompass the CQ (Curious Quotient) Wheel: work, mind/body, relationships, humanities, STEM, aesthetic (creative), music, and play. The website doesn’t say how many subscribers it currently has, but according to a 2016 press release, its library has over 25,000 video lessons. The main benefit to teachers is that Curious.com’s courses go beyond passive videos and are multi-channel and interactive. You also get your own branded Curious web page, where you can promote your lessons, post updates for students, and even promote related products and services you offer. Revenue share – Teachers get at least 70% of Curious’ net revenue. Tips – You keep 100% of tips from your students. Referral Bounty – You get a flat fee for every person you refer who becomes a member of Curious. OfCourse is a UK-based online learning marketplace. They have an audience of 10 million across the UK, Australia, The UAE, and Scandinavia. While it calls itself a “lifestyle and self improvement online learning platform,” OfCourse accepts experts in beauty, business, CBT, health and fitness, mindfulness, pets and pet care, spiritual, tech, languages, therapy, and others. The courses are in video format. 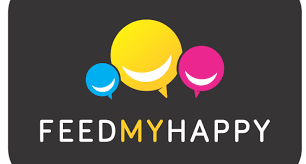 FeedMyHappy is the learning marketplace for courses that help people find new ways of being healthier and happier. Courses cover personal development, health and fitness, and lifestyle. The site doesn’t say how many users it now has, but it seems focused on learners within companies and organizations. FeedMyHappy doesn’t have an application process for teachers. “We trust your self-assessment capabilities,” their website says. Neither do they require exclusivity. This means you can offer your course here, even if it’s also available on other platforms and marketplaces. Teachers make money through a combination of shares from their course sales and company revenue. Soon, the site will also allow teachers to earn more by offering live sessions and by selling products in the platform’s shop. PluralSight is a learning marketplace mostly for corporate learners, although it reaches independent learners as well. It has over 1 million subscribers in 9,500 companies, specifically in the areas of architecture and construction, creative professions, data, programming, information/cyber security, IT, and manufacturing and design. To become an “author,” you have to apply and audition. Once accepted, however, you receive plenty of support. Content leaders help with choosing topics and putting together your course outline. Production editors guide you through the video production and editing process. Peer reviewers and mentors also help you make the best course possible. The website doesn’t give its exact formula for teachers’ earnings. It does say royalties are based on course viewership and the financial model you choose. I left this for last, because it isn’t strictly a platform for online courses, but you could use it as such if your course is going to be 100% video. You upload your course (in the form of videos) on the platform and it becomes accessible to anyone with Amazon Video (so far that’s U.S., Germany, Austria, UK, and Japan). You get a royalty for them, depending on whether you make your videos part of Amazon Prime, or available for rent, sale, or with subscription. Now that you’re familiar with the three types of online course platforms, decide on which one you think will suit your style and goals best. When you do, you no longer have to search the entire universe of online learning platforms for the ideal one for you. You can limit your search within the galaxy of the platform type. There are still many choices within this galaxy. You may want to limit your search to the examples I mentioned above. But I have to warn you, it is not an exhaustive list and new platforms become available all the time. So if you want to see what else is out there within the type of platform you’ve chosen, you can use Google to find them. For example, if you want to find more options to create a WordPress course site, simply type “Zippy Courses alternative” or “WP-Courseware alternative” into Google. What does your ideal online course platform look like? Answer the following questions to learn which features are most important to you. Remember, there are no right or wrong answers here. There’s only what’s right for you. BONUS: Download a PDF of this checklist. Will students pace themselves from one module to the next? Do you want to schedule the delivery of each module or lesson? Will students be in different learning levels or tracks? Do you want your learners to pass a quiz before they can move on to the next lesson? Will the lessons be pure text with images? Or will you also use audio and video? Do you want to embed slideshows? Do you plan to deliver the lessons live through web conferencing and make the recording available later? Student support and engagement: How will you support your students? Through comments under each lesson or module? Through a full discussion forum? Do you want to be able to monitor and track your students’ progress through the course? Do you want to automatically create badges and certificates as students complete certain parts of your course? What applications are you already using, or plan to use, that need to play nicely with your online learning platform? Payment processor (e.g., PayPal, 2Checkout, Authorize.net). What else do you need to sell your course after creating it? If you don’t want to deal with separate tools for these, then you need a course platform that has these tools as well. What kind of customer support would make you feel fully supported? Do you want someone to hold your hand every step of the way, concierge style? Do you want to be able to speak to somebody on the phone? Or would email be enough? How many hours or days are you willing to willing to wait for a response? Are you comfortable with and able to wrangle with web technology? If you’re not a techie, are you willing to hire somebody to assist you? Do you prefer a platform that’s simple, intuitive, and as easy to use as a word processor? Do you want to make a one-time payment upfront? Are you willing to pay a monthly or yearly fee for a subscription-type platform with all the features you’re looking for? Are you okay with paying in the form of a share of your course sales? What types of platforms do you enjoy using? After going through these questions, make a list of the ideal features and functionalities you’re looking for in an online learning platform. Next, rank the features according to importance. Mark the ones that are non-negotiable. And mark which ones are nice to have, but not absolutely essential. See how I color-coded the columns, with green being the most important features and pink denoting those that are nice to have, but not essential. Now you have a clear idea of your “dream date.” Realize that you may or may not find all these features in one platform. Especially if budget is a concern, you may have to make some compromises. For now, keep an open mind as you move on to the next step. Next, fill the first column of your spreadsheet with the names of the platforms you want to explore further. Carefully go through each platform’s website and indicate which of your dream features it has. If the website doesn’t mention a feature you’re looking for, take note of it for later. Get an overall feel for the specific platforms you’ve found and weed out the ones that are above your budget or don’t meet your essential must-haves. Based on what you’ve learned, make a shortlist of three platforms you will explore more deeply in the next step. Don’t get discouraged if a platform you’re interested in doesn’t provide all the features you’re looking for. You could always use external tools to get the features you want, like a video conferencing software like Zoom for live lessons or a Facebook group for discussion—if that’s an acceptable compromise to you. This step takes a bit of work and time, but it’s the best thing you can do to make sure you’ll make an informed decision: Test-drive each platform on your shortlist! Create a folder in your computer with either dummy or actual course content. Include the types of content you plan to use in your actual course: text, images, PDFs, video, etc. Also create questions for a dummy quiz, if you want to use quizzes in your course. And don’t forget the content for your course sales page. Sign up for a free trial for the platform you’re going to evaluate. If the platform doesn’t offer a free trial, then plan to pay upfront and complete your evaluation during the refund period. Make a note on your calendar for when you should complete the evaluation and potentially request a refund! Create your mock course on the platform you’re testing. Here’s the fun part: actually using the platform with your dummy content. If you run into problems, that’s a good thing! When you get stuck, that’s your chance to test the platform’s customer support. Send a question and take note of how long it takes them to respond and how satisfactory their response was. Even if you don’t encounter problems, ask a question anyway. When your mock course is up, test everything as a student. What does the course landing page look like? Is it attractive? Would they sign up for your course? Is it easy to enroll in the course? Once inside the course: is it easy to understand how the modules and lessons are organized? Is it easy to navigate around the course? Is the text readable? Do images show up properly? Do videos play? Does everything work as they should? Was anything confusing or frustrating? Note: I created that spreadsheet only to show an example. Your notes will be much more detailed than mine. It’s decision time: which online course platform are you going to go steady with? Look at your spreadsheet, and see how each platform performed vis-a-vis your features wishlist, your experience while trying the platform, and your test students’ feedback. If one platform stands out, then your decision is easy. But it’s possible for two or all of your shortlisted platforms to look pretty equal. What then? Decide on one feature that you want to use as a tiebreaker. This could be the price, customer support, or how pretty the landing pages are. Choose one feature that’s important to you, and where the platforms do not perform equally. Or your tie breaker could be something purely subjective: All things being equal, which platform do you simply like the most? Sometimes you have to follow your gut and go with the option you have the best chemistry with. Choosing the platform where you will create and sell your course is a challenging part of being an online course creator. There are so many options—even within the same type of learning platforms—and all of them look great. The best way to find the platform that’s most suitable to your needs is to actually use them by creating a mock course and testing them on a few students. Following the process I described above will help you find The Right One you can commit to. It may feel daunting now, but remember, this is dating, not a marriage. Your online learning platform doesn’t have to be a lifelong commitment. Technologies change, you change, and your business will change. So you may need a different platform down the line. Choose what suits you best right now. Do tell: Which type of online course platform appeals to you the most? If you’re already an online course creator, what platform have you been using and how are you liking it? And if you had a magic wand, what new features would you like to see? Lexi, you might want to have a look at Udutu. There is a bit of a learning curve with the Udutu authoring tool, but, nothing too difficult. The course content can be developed with no monthly charges until the course is ready to launch. After that, the monthly charges are very competitive. @Neale – Thanks, we’ll keep Udutu in mind. The steep learning curve would be a concern for our students though. Excellent article. All major points are in one place. Great help for beginners like we are. @Timurkhan – Thanks for letting me know you liked the post! Thanks for this very helpful post — it’s clear and informative. @Robert – You’re welcome! Glad you found it helpful. Excellent post Lexi! I love the way you break down the options into 3 distinct categories. This will be quite helpful for people looking to offer online courses. You’ve saved so many people countless hours of research. Sharing this! @Kemya Scott – I’m happy to be of help. Thanks for the feedback and for sharing! Great post! It would be interesting to see your comments on Lifter LMS and Learndash as well! And….is it mandatory to stick to one teaching platform, that is if I choose a self hosted solution, could I use an online marketplace as a supplement for my course, maybe in a different version, but for the purpose of branding? @Marianne Elversoe – Great question! Beginners should definitely stick to one teaching platform and see it through to completion and success before considering supplementing. More advanced course creators, though, could certainly supplement on another platform. For example, At Mirasee, our main training programs are self-hosted, but we have micro-courses on Udemy as well, to reach a different market. Thanks for your comment, it makes perfectly sense, but you know you can have the impression of missing out on opportunities! Cool, Rocky, I didn’t realize we’ve done so much! Excellent article Lexi, your articles are mind blowing. I’d wish Zippy courses had room for multiple site licenses, it’d been better than most if not all of LMS on this list. Thank you for coming up with this awesome list. Excellent post Lexi…..Very useful and comprehensive. Where does VMEdu fit in? Would appreciate if you can share your views on the Pros and Cons of VMEdu. All the points you mentioned are very valuable for making decisions – your article helps us make the right decisions. @John – Thanks for the feedback! Excellent question about VMEdu. I hadn’t heard of it until you mentioned it. A quick scan of their website makes me think it’s an online learning marketplace. Thanks for the post Lexi. It is a lovely step by step approach you have used . As a student of the Course Builders Laboratory program I will use the Udemy and self-host WordPress. Wouldn’t it be” jumping the horse” if I try to set up a trial now and we have not reached any where in the course as yet? Hi Lexi… good comprehensive up-to-date review of what’s available. Thank you. One resource that you didn’t mention was CREATIVELIVE.COM. There you record a course live and then it goes up for sale. A couple of marketers are using this to their advantage. Have you looked at that? Or does it fall under a different category entirely? Hi and thanks for the great content. Do you have any experience with SmartMember? Cheers! @Andrew – Thanks for stopping by and giving your feedback! Glad you liked the post. I haven’t heard of SmartMember, but I’ve taken note of it for the follow-up post. What about Adobe Captivate and their LMS? I’m looking at this right now and it seems like you can implement more interactivity with this. I just discovered it yesterday, while researching different platforms. There is the actual course creation program called Adobe Captivate 9 and the LMS called Adobe Captivate Prime. I would love to see more reviews to know how it stacks up to what is already out there like Teachable. I have researched all of the ones on this list and none of them do what I want! Sigh. I have also looked at Academy of Mine and Learn Words. 1. Assignment submissions (my students need to be able to submit a design in PDF format and the course instructor approves the design before the course is marked complete). 5. PayPal and stripe integration. I would settle for just PayPal integration. 7. Discussion/Q&A with the capability for students using the discussion to include images/videos. 11. A good email system that ties in the lead page. Email students of specific courses, etc etc. If someone knows of a platform that offers that I am all ears but so far I cannot fine one. @Josiah – Sorry I didn’t see your comment earlier. That’s quite a list! Did you find a platform/plugin that provides everything or most of what you’re looking for? Very good comparison Lexi. Udemy is a very well-known platform for online learning. Sometimes you can get free courses over that. @Corry – Yup, Udemy is one of the many online learning marketplaces available. Thanks for your method to help people find the right match for their needs! I was wondering if you could be so kind as to add our platform Guidiance at Third-Party Hosted Platforms: http://www.guidiance.com, we stand out because we focus mainly on mobile and social learning. It’s very easy to use and the pricing is attractive as well. @Thomas – Hi, thanks for stopping by and letting us know about Guidiance. We’ll be sure to include it when we do an update. Great synopsis! Thank you for this well researched and highly informative article! Thanks for this article, Lexi. Happy to be of help, Karen! What type of LMS have you decided to use — WordPress plugin, third-party platform, or marketplace? Lexi, I just read your post from clicking through on the new ‘State Of Online Courses’ report Danny published. ;)) Thank you SO much for all this info — really thorough and super helpful! Such a great article. I enjoyed every part of it while I was reading. I discovered a few resources for online courses that I can use for my work. I also liked how the courses can be compared in Google Sheets. A great way to choose an online course platform that will suit the best.